168 pages | 2 B/W Illus. 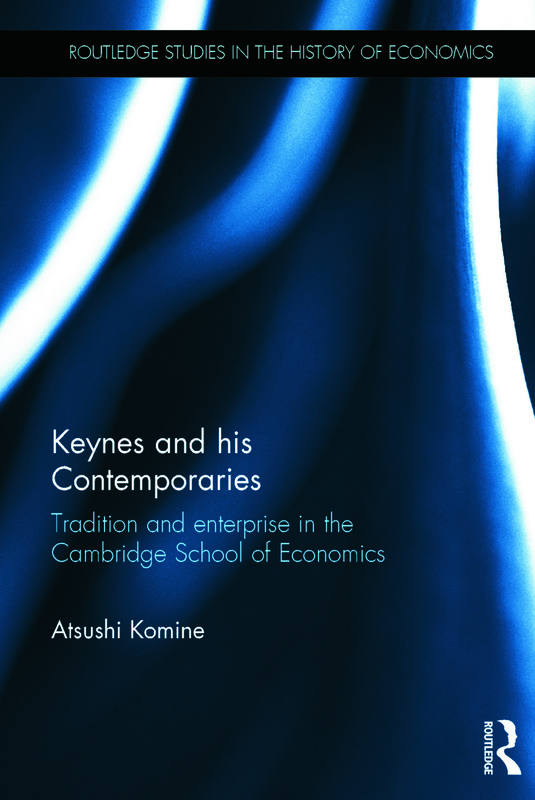 This book examines how the Cambridge School economists, such as J. M. Keynes, constructed revolutionary theories and advocated drastic policies based on their ideals for social organizations and their personal characteristics. Although vast numbers of studies on Marshall, Keynes and Marshallians have been published, there have been very few studies on the ‘Keynesian Revolution’ or Keynes’s relevance to the modern world from archival and intellectual viewpoints which focus on Keynes as a member of the Cambridge School. This book approaches Keynes from three directions: person, time and perspective. The book provides a better understanding of how Keynes struggled with problems of his time and it also offers valuable lessons on how to survive fluctuating global capitalism today. It focuses on eight key economists as a group in ‘a public sphere’ rather than as a school (a unified theoretical denominator), and clarifies their visions and the widespread beliefs at the time by investigating their common motivations, lifestyles, values and habits. Atsushi Komine received his Master’s and PhD in Economics from Hitotsubashi University, Japan. Since 2008, he has been Professor of the History of Economic Thought at Ryukoku University, Kyoto. From 2001 to 2002, and from 2009 to 2010, Dr. Komine was an Honorary University Fellow of Exeter University and a Visiting Fellow of Clare Hall, Cambridge University.